Nightfall One (1971) is a collection of five short stories by the legendary science fiction author, Isaac Asimov (1920-1992). The stories, originally published between 1941 and 1951, were selected by Asimov to represent his work over this period and are each accompanied by a brief introductory text from the author. Along with Nightfall Two (1971), this book forms a two-volume reissue of the earlier collection Nightfall and Other Stories (1970). This collection, which I scavenged from a friend’s bookshelf, represents only my second experience of Asimov’s work, the previous encounter having come when I found a very battered copy of the first book of his Foundation trilogy buried at the back of a cupboard in a rented flat, several years ago. While it feels a little unfair to judge his vast body of work from so narrow a sample – particularly without having read any of the robot novels for which he is most famous – from these two books, I have nonetheless formed a distinct impression of his writing. Asimov is clearly an author who is concerned with Big Ideas: Capital “B”, Capital “I”. Whether the Big Idea happens to be the consequences of a particular planetary alignment, the bizarre life-cycle of an alien species or the existence of a band of sociologists who can predict the future of the human race, it is always installed firmly at the centre of his story. For Asimov, concept is king. Now, this approach is a perfectly valid one. After all, presenting bold and novel ideas is an important part of the remit of science fiction. However, in the shadow of these monolithic concepts, it often feels to me like Asimov sees his characters as little more than an inconvenience; necessary for telling his story, but otherwise of little intrinsic interest. Consequently, few manage to raise themselves above the status of bland stereotypes or obliging plot expositors, speaking in the same insistent and implausibly earnest tones familiar from many classic sci-fi films and television series of the black and white era. All this is not to say that I found these stories to be wholly unengaging. Asimov’s prose is simple and direct, such that even the most bizarre and speculative of propositions are rendered easy to comprehend, and the pages fly by at a fair rate of knots. Nevertheless, I do personally feel that abstract ideas are better communicated when threaded through a narrative that engages the reader on an emotional or empathetic level, rather than a purely intellectual one. In any case, in putting all his eggs into the basket of high concept science fiction, the success or failure of Asimov’s stories broadly boils down to a simple dichotomy. Where the idea at the heart of a story is strong, the result is an intriguing piece of work. Where it is not, for me, the whole thing can fall flat on its face. Nightfall (1941) itself, the first story in this collection, appears to be a piece with which Asimov had a complicated relationship. In his introduction to the story, written in 1970, we learn that he simultaneously saw it as the piece that cemented his reputation as an author and the one that overshadowed all his subsequent work. 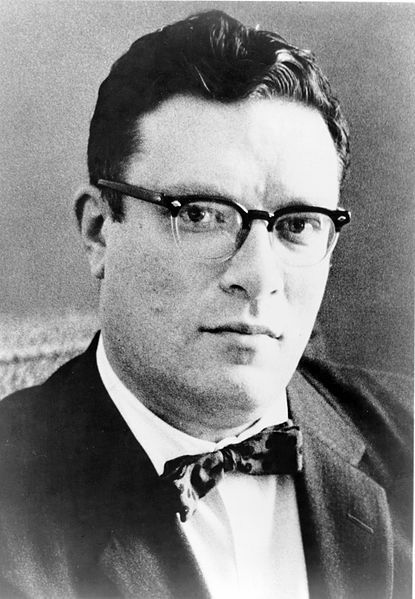 Asimov comes across as baffled, even resentful, that fans and critics stubbornly favoured this story over those that came later, and he bemoans the fact that the increased proficiency and experience of his later work appear to count for nothing, defiantly challenging his readers to identify why Nightfall should be considered “better than all the others”. This is a challenge that I am happy to take up, at least in relation to the stories in this book, since I think I have a fair idea of how to respond to it. Let us set Nightfall aside for a moment, then, to consider the four stories that represent its ‘competition’ in this volume. The second story, Green Patches (1950), is actually somewhat atypical, in that its aims are perhaps a little less ambitious than those of the other pieces in this collection, a fact that ultimately counts considerably in its favour. The story recounts the progress of a somewhat reckless scientific mission to a planet whose flora and fauna are known to represent an existential threat to humanity. Setting its sights on suspense rather than worthy cerebral debate, Green Patches achieves its limited objectives in style. It has its Big Idea, of course – related, in this case, to a sinister alien ecosystem and the ways that it might interact with human beings – but, crucially, this idea is used to drive a tense and gripping plot, whose outcome remains uncertain right up to the moment of its rather neat conclusion. In the context of an engaging story, the odd bit of clumsy expository dialogue (“I burned the ground before me as I went, to say nothing of the portable barrier that surrounded me.”) can be forgiven and Green Patches may be considered a clear success. Hostess (1951), the third story of the collection, is a more troublesome piece. It describes a sort of extraterrestrial exchange visit, in which an alien scientist lodges with a human couple, with suspicions steadily mounting between hosts and visitor throughout the course of the narrative. Here, the Big Idea is less well integrated into the plot than that of Green Patches, and the moment of revelation demands an uncomfortably abrupt leap in perspective from domestic to galactic, which feels rather forced and implausible. While I am inclined to award a bonus point to the story for its ending, which leaves the reader to fill in the blanks as to what exactly occurred and why, ultimately, too much of its length is taken up with polite inter-species dinner party chit-chat. Despite being liberally sprinkled with clumsy and unintelligible ‘clues’ to the truth of what is actually going on, the story fails to cultivate the tense atmosphere that it is aiming for, so, for me, it is ultimately unsuccessful. Next up is Breeds there a man…? (1951), a dreary cold war tale of a scientist who goes mad while designing a force field to protect US cities from nuclear attack, which I would label as the weakest of the collection. The problems with the piece are twofold. Firstly, the central concept is so far fetched that I found it rather difficult to swallow within the bounds of the limited word count available; considerably more work would be needed from the author to cultivate the goodwill that would be necessary to willingly suspend my disbelief. Secondly, as with Hostess, the story progresses through discussion rather than incident, an approach that is doomed to failure, since the characters in this story simply do not have the depth to sustain it. The final story of the collection is C-Chute (1951), which closes the volume in curiously anticlimactic fashion. This piece tells the story of a group of civilian prisoners in an interplanetary war and their efforts retake their ship from an alien boarding party. The story is notable for its relatively large cast of characters, though sadly this distinction does not work to its advantage. While Asimov has clearly made an effort to differentiate the numerous human captives (all of whom are male), this is mostly achieved through the deployment of stereotypes – the young hothead, the stuffy ex-military type, and so on – yet it still proves insufficient to stop some from blurring into one another. While the central act of heroism from one of the characters is suitably dramatic, his motives for carrying out the act – which are deliberately held back until the final line as if to suggest that they reflect some deep existential truth – are actually wholly unremarkable. Rather than provoking a considered reflection on the nature of war, as seems to have been the intention based on Asimov’s introduction, the overwhelming feeling on finishing the story is rather of wondering what the point of it all was. And so, then, we return to Nightfall, to consider what it might have that these other pieces do not. The story (which Asimov later developed into a full-length novel with the help of co-writer Robert Silverberg) describes the final minutes before a once-in-a-millennium astronomical event on an alien world, and the response of the indigenous civilisation both before and after the event’s occurrence. The story is not perfect by any means. The apparent Asimov staples of one-dimensional characters (crazed cultist, harassed scientist, amoral newshound) and clunky expository dialogue are all present and correct. However, Nightfall is able to rise above these handicaps, since the Big Idea at its core – inspired by a quotation from the poet Ralph Emerson that introduces the piece – is at once simple, engaging and inherently dramatic. Nightfall, unlike the flights of fancy of Hostess and Breeds there a man…?, is built upon the firm foundation of a scientifically credible concept, and presumably one that was quite novel at the time of the story’s original publication in 1941. Around this promising idea, Asimov extrapolates a consistent alien society and history, the details of which are communicated to the reader with a lightness of touch that is not readily evident throughout the rest of this collection. The conclusion, while perhaps a little over-the-top in the speed at which the depicted culture descends to a state of mindless self-destruction, nevertheless leaves the reader with both a truly beautiful image and a genuinely profound evocation of our place in the universe. Add in the story’s commentary on the role of the media in society and on public attitudes to science, themes as relevant today as they presumably were when the story was published, and you have a piece of work that is thought provoking on a number of levels. Finally then, to answer Asimov’s forty-five year old question on why Nightfall captured the imagination in a way that some of his other work did not, I would suggest that the answer is fairly simple. Perhaps it just had more to say. Comments on Asimov’s work are very welcome. Please post below.